In many households kitchens are one of the most frequented areas of the house. Nowadays a kitchen is not just a room in which food is prepared, but a place where family, friends and guests socialize with each other. For this reason a kitchen is one of the most popular areas of the house to remodel. 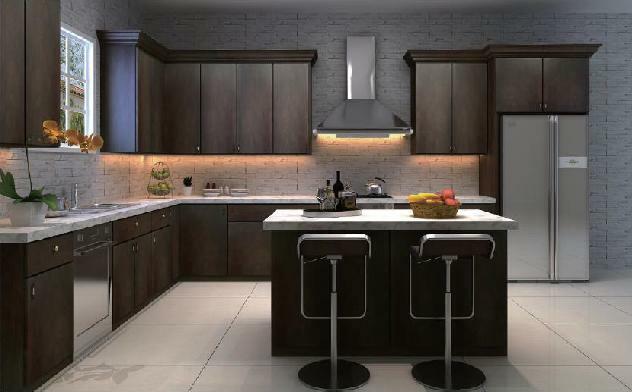 If you are contemplating remodeling your kitchen, you are probably realizing the various decisions that must be made and the ramifications of those decisions. Depending on what you want done and the type of material you choose, a kitchen remodel can end up being a sizable investment. It is important to choose a competent contractor who has the experience needed to properly handle an investment such as a kitchen remodel. Remodeling an older house can many times present you with unforeseen surprises, such as unforeseen additional repairs which are associated with your overall kitchen remodel. Hiring a contractor who has experience remodeling kitchens, and who has a good knowledge of the common issues associated with remodels of this type, can be a worthwhile investment for you as a homeowner. Our crews at J. Paone Construction are experienced and knowledgeable in remodeling kitchens. We work closely with our customers so that the end result is a kitchen that will be enjoyed for years to come. Contact us now for a free estimate on your kitchen remodel.